Zambia’s central geographic location makes it particularly susceptible to migration flows as this selection of images shows. Zimbabweans, Congolese, South Africans, as well as Zambians themselves, centre in Zambia’s northwestern Copperbelt province to work on the mines, whilst others are attracted by jobs in the country’s burgeoning cotton industry. 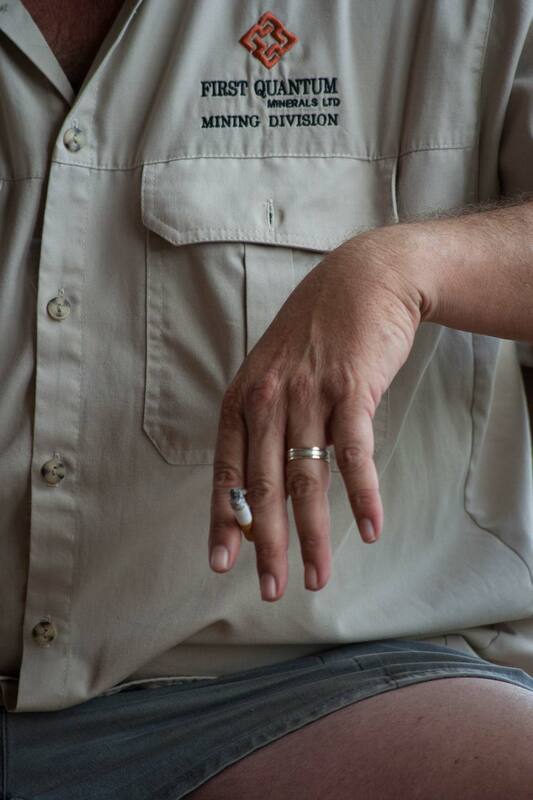 Meanwhile, cross-border truckers from South Africa pass through on their way to the DRC. As Zambia begins to recover from the 1970s-1990s copper slump, assisted in its development by a host of NGOs and aid organizations, many Zambians are also migrating to urban centres to take advantage of real (and imagined) job opportunities and the hope of a better life. 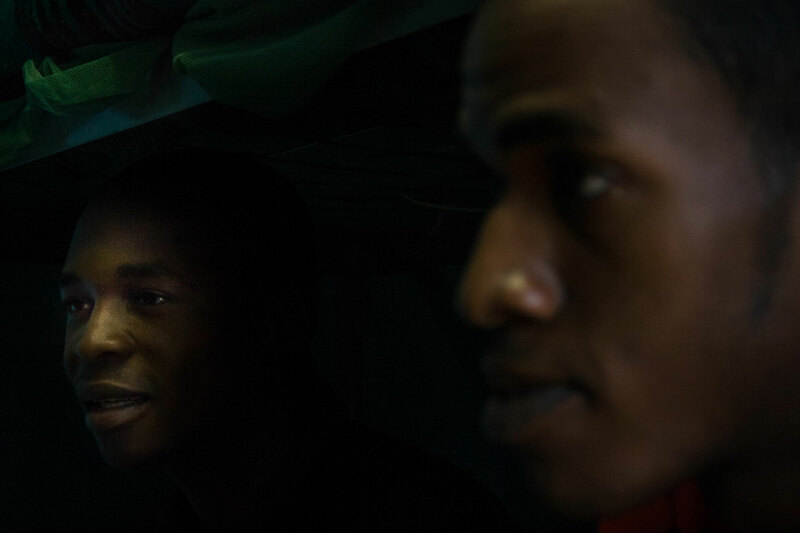 This story was commissioned by the International Organisation for Migration (IOM) in 2008 as part of a joint project with the Market Photo Workshop (MPW) in Johannesburg, South Africa. The photographs were exhibited at the Henry Tiyali Gallery in Lusaka in August 2009, alongside the work of fellow photographer Mpho Seleka. 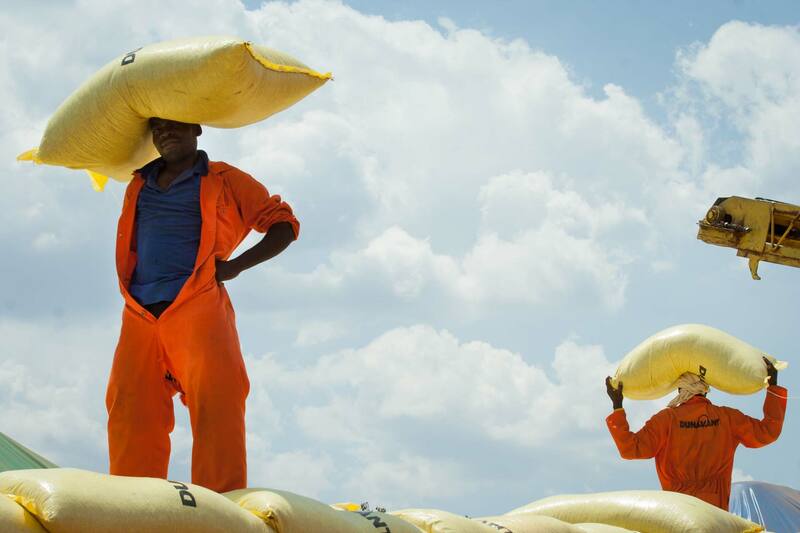 Dunavant Cotton workers carry cottonseed to be loaded onto trucks. People from all over eastern Zambia come for the seasonal work. Dunavant Enterprises, the world’s largest cotton merchandiser, came to Zambia in 1999 and instantly took over the lion’s share of Zambia’s cotton market. By 2004 however, Dunavant management realized that if they did not act, HIV/AIDS would destroy their investment in the country. In a marriage of necessity, Dunavant teamed up with a Zambian non-governmental organisation, the Comphrensive HIV/AIDS Management Programme (CHAMP,) to provide HIV/AIDS testing and counseling to Zambia's rural districts, where the virus is steadily spreading in the absence of healthcare workers. 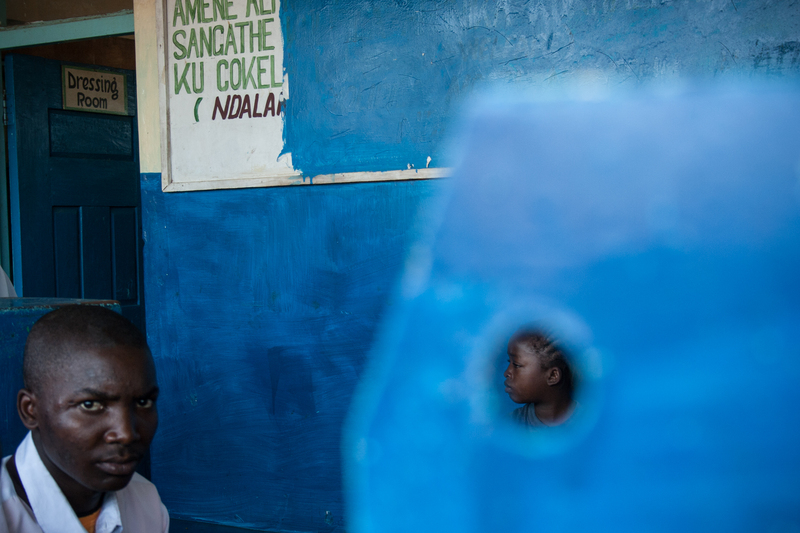 Martha Ngoma (10), right, and a schoolboy sit in a queue at Kafumbwe Secondary School clinic in Katete district, Zambia. Martha’s mother, Eletina Ngoma, suffers from tuberculosis and had come to receive a drug refill. The clinic treats patients from both Zambia and Mozambique and it lies close to the country's eastern border. 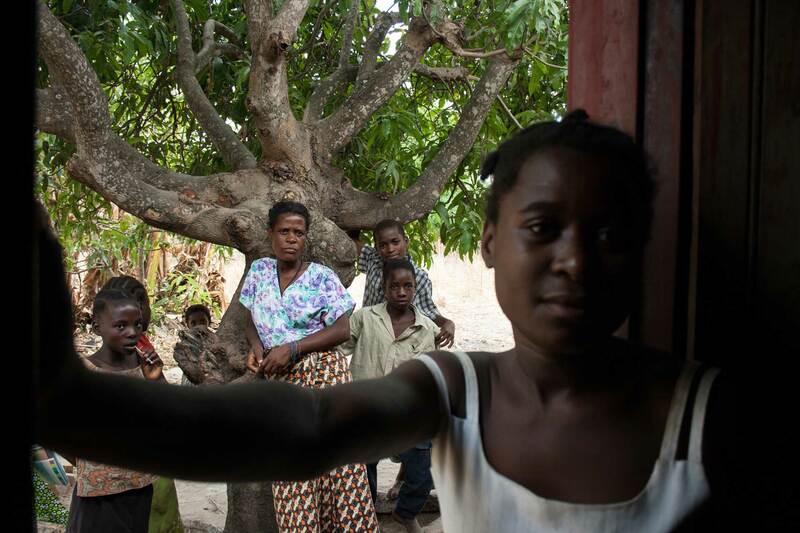 Komiwe Mwanza (centre back) stands with her children and their friends outside her home in Soweto Boma, Katete, Zambia. Komiwe is originally from the Copperbelt but moved to Katete when she got married. She is now widowed and supports her 6 children by selling at Soweto market. Women from Tigwilizane Section, Soweto, gather for a community meeting in Katete, Zambia. Due to raised susceptibility to HIV from both internal and external migration, a local NGO, the Comprehensive HIV and AIDS Management Programme (CHAMP) is working to educate people about HIV through their peer education programme. 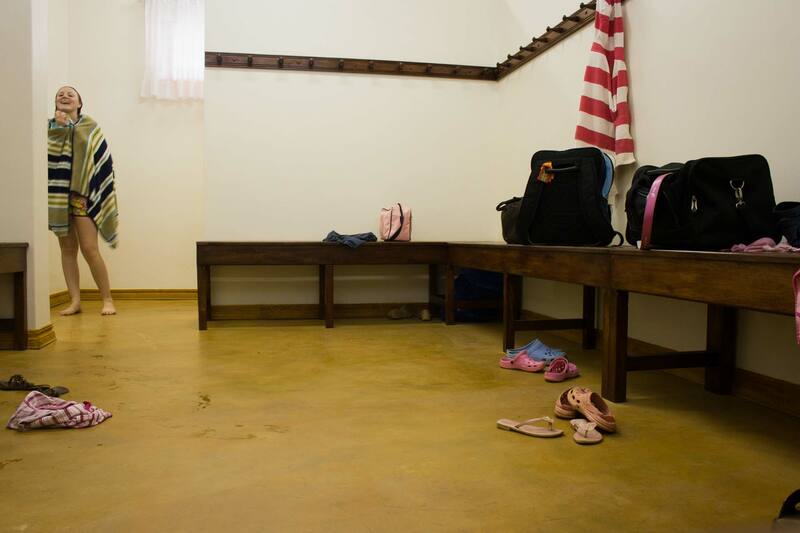 Mariaan Haasbroek (14), the daughter of a South African mine manager on First Quantum’s Kansanshi Copper-Gold Mine, smiles as she leaves the change room at the Golf Estate swimming pool in Solwezi, Zambia. Mariaan is keen to go to boarding school in Ndola, since there are no suitable high schools in Solwezi, but her mother wants to home school her. 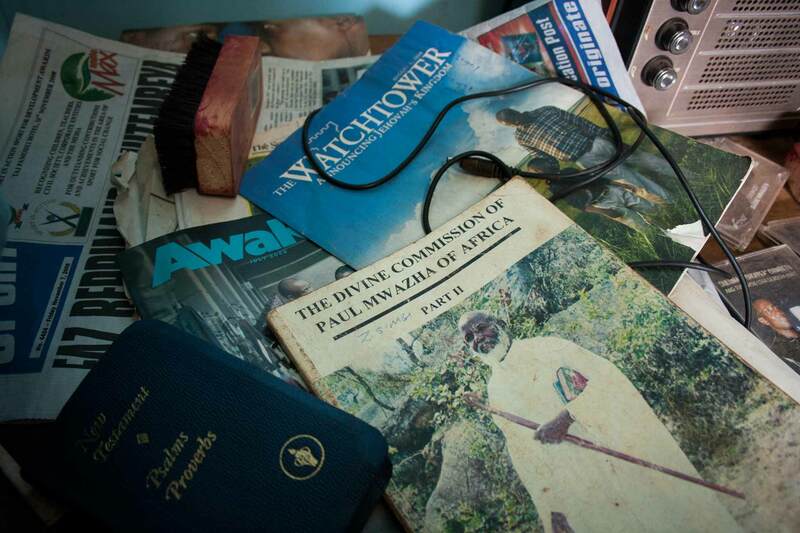 Champion Chinembiri's radio, reading materials and cassette tapes of Zimbabwean musicians sit on his bedside table. Champion heard about job opportunities at Kansanshi mine from his previous employer in Zimbabwe. He was given a job as a construction foreman. At the end of his contract, he will return to his family in Harare, but has already made plans to apply for a job in Mozambique. 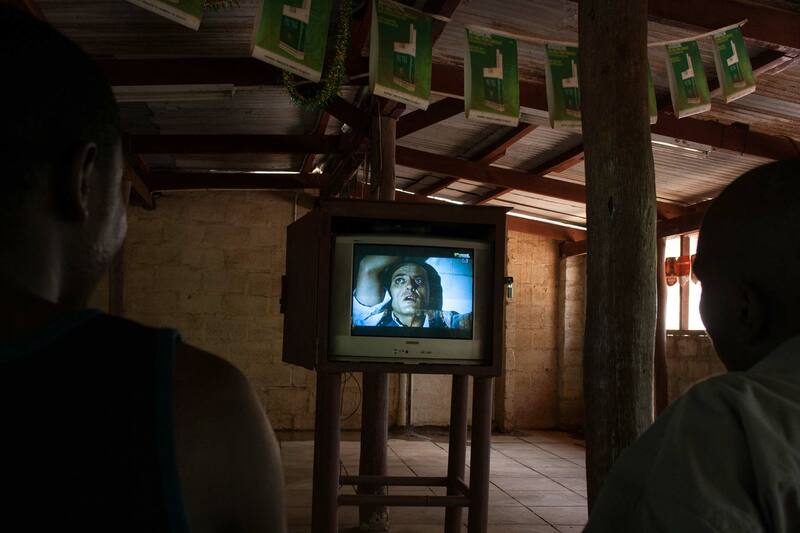 Mineworkers watch an action movie in the canteen. The only form of entertainment in their down time is a pool table with broken cues, this television and informal football games. 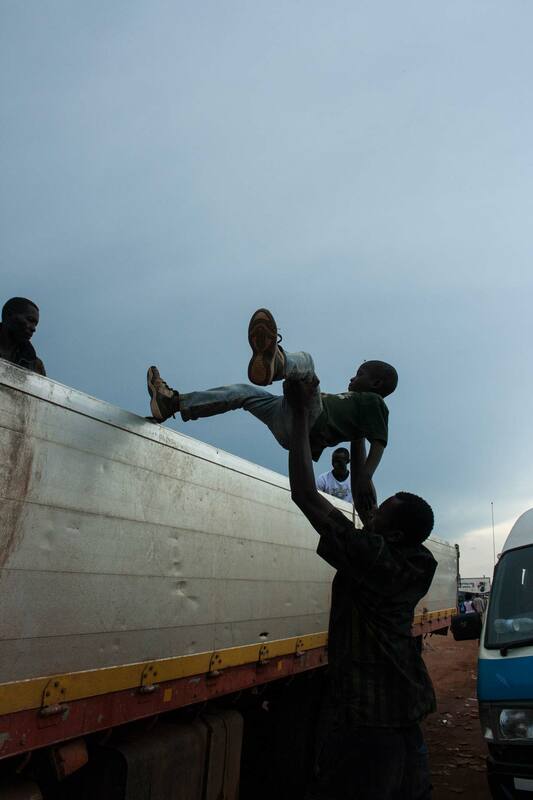 A man lifts a child into the truck in Solwezi. 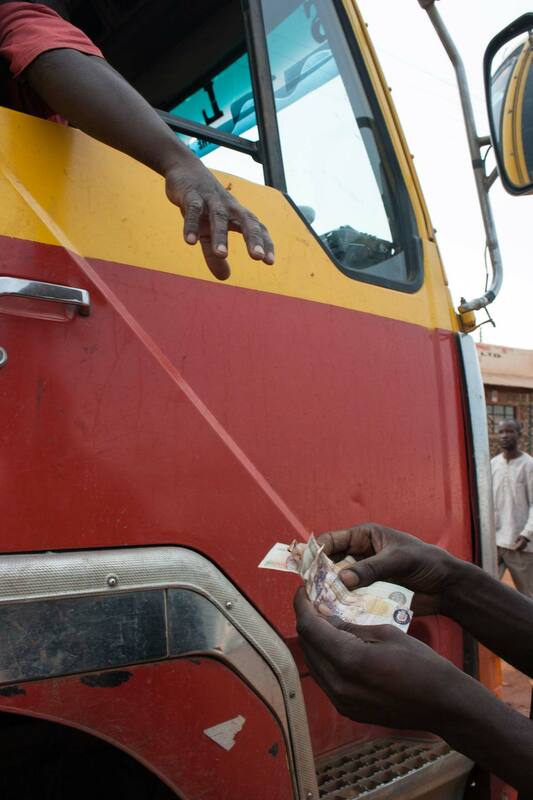 All across Africa, truck drivers seeking to supplement meager stipends turn to lift giving for additional income. The fare is paid to the driver. Company trucks only carry people in the back of the cab, where they cannot be easily seen, but this driver had no such worries and may have owned the truck himself. 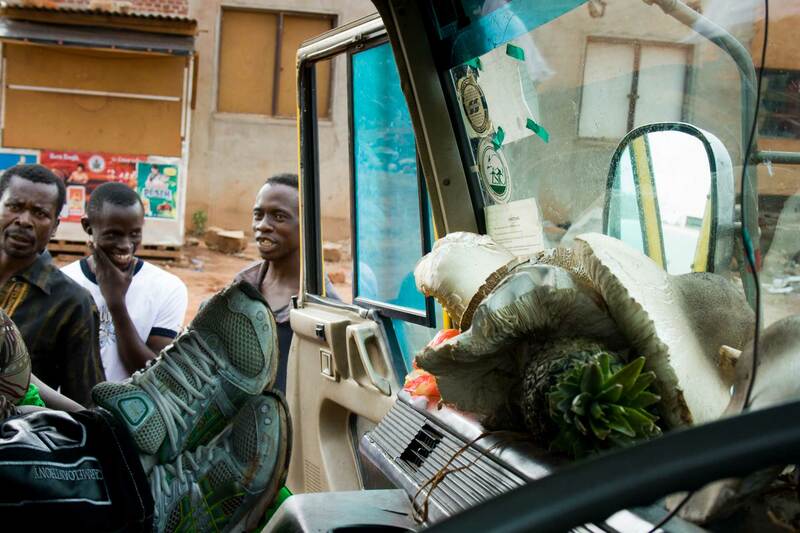 Mushrooms and pineapples bought from the side of the road are seen in the cab of a truck waiting to collect passengers. From ferrying people to hawking vegetables, Zambians across the country are taking advantage of large scale migration to boost their income through the informal sector. 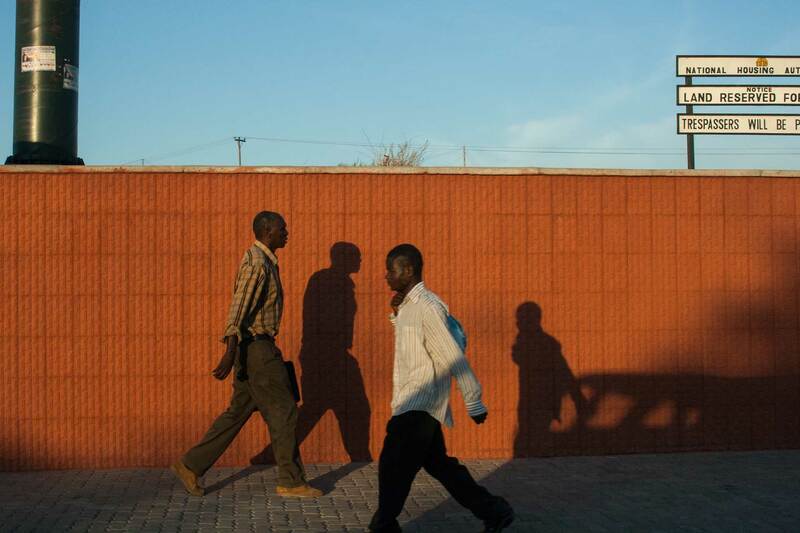 Pedestrians walk down a street in Lusaka in the early morning. 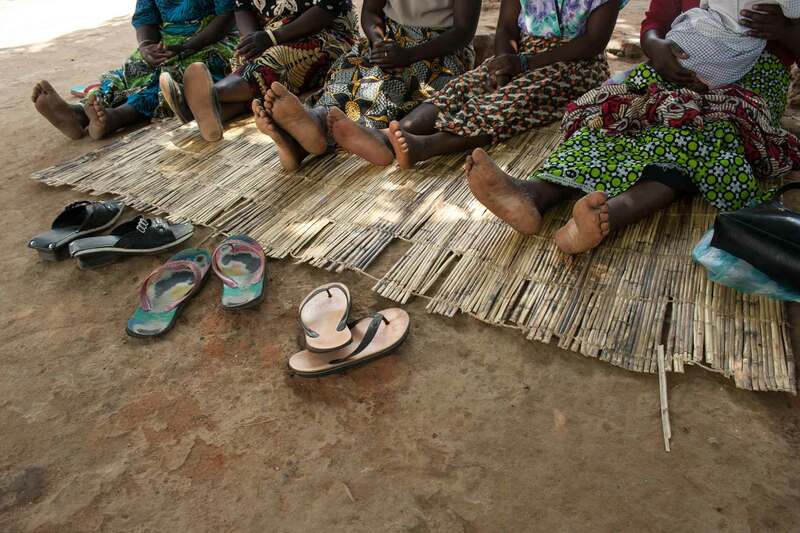 Whether in cars or buses, or simply on foot, Zambians are moving across their country in search of jobs and the hope of a better life.